Below is an oped I have in this weekend’s Haaretz. Speaking at the Sharm summit this week, Prime Minister Ehud Olmert seemed to hit all the right notes - empathy, generosity, a passion for peace. It was a nice speech, lacking only one thing: relevance to the regional strategic environment. This absence of a realist policy outlook is hardly unique to Mr. Olmert. Much of the left still clings to the "heap everything on Abbas' shoulders" approach that is at least two years past its sell-by date, while more and more of the right is flirting with a "give some of the West Bank to Jordan" idea that was buried 20 years ago (by the Likud itself!). Olmert's people will repeat the mantra that he will work sincerely, if cautiously, with the region's moderates to defeat the extremists, and yet the former appear ever-weaker and the latter ever-bolder. It is a policy operating on autopilot, and it is not working. Three leaders racing against the clock (George Bush, Mahmoud Abbas, Olmert) may attempt a dash to the finish line of a ceremonial declaration of Palestinian statehood - with the help of their new envoy - but this is hardly a recipe for sustainable peace and security. What is missing and needed is for an Israeli school of realism to emerge, capable of addressing the new challenges of the region. This realist school should set out four strategic goals for Israel: to stabilize Israel's security environment; prevent Al-Qaida copycats from gaining a foothold on Israel's doorstep; pursue an end of occupation that will allow for realization of permanent, agreed, recognized and legitimate borders on all fronts; and more effectively isolate the Ahmadinejadist wing in Iran's leadership. These goals are of course interlinked in many ways, and although this is not the place for a detailed blueprint, here are some guidelines for pursuing them. The key place to begin is in rethinking the policy of driving the friendly leaders of deeply divided neighboring states or pre-states further toward a politics that is ungovernable and irreconcilable. This applies to the Palestinian Authority and Lebanon, each in its own way. Abbas and Fouad Siniora are both being driven (politically) off a cliff. Locking them in to the "moderates' embrace," rather than facilitating a difficult domestic political accommodation, is not a way to advance stability, security or Israel's interests. The consequence, already witnessed, is a combination of pushback from powerful domestic constituencies, often directed at Israel, and the emergence of Al-Qaida wannabes in the space created by the political vacuum, chaos and alienation. In the Palestinian arena Israel should recognize that more is less - the more we hug Abbas the less he can deliver; and that less is more - the less we interfere in Palestinian politics the more likely it is to produce a stable outcome that can be a so-called "address" for Israel. A comprehensive cease-fire should be pursued and then respected, which of course includes Hamas. Single-party Fatah rule cannot be reimposed, Hamas is here to stay, an accommodation that serves Israel can be reached, and the splinters thrown off by an effort to crush Hamas will be extremely painful. This conflict, even with Hamas, is not about an absolute rejection of the "other" or clash of civilizations. It remains grievance-driven - and can be resolved by ending the occupation. The alternative framing plays into the hands of Al-Qaida. Palestinian power-sharing and a new unity government, now more complicated, still offers the best way forward for stability, the two-state solution and Israeli security. This idea is already being floated by elements in Hamas, the Arab world and even Fatah. It makes Abbas more, not less, relevant. On Israel's northern border, roles have been reversed: We used to need a Syrian arrangement for peace with Lebanon; now we need a Lebanese arrangement for peace with Syria. That was the message from the Bush-Olmert meeting. The American president will apparently cling to the Cedar Revolution until Lebanon resembles Iraq, there will be no serious U.S. engagement with Syria and therefore no Israeli-Syrian peace process. But the appearance of Al-Qaida-inspired Fatah al-Islam in Tripoli and the Jund al-Sham and Usbat al-Ansar in Sidon should focus minds in Jerusalem. The political stand-off in Lebanon and potential for escalation and collapse is regionally destabilizing. Here, too, a political deal that recognizes the Lebanese reality should be brokered, and if Jerusalem needs to explain this to Washington, so be it. While Lebanon will certainly not be handed back to Syria, all sides will have to swallow hard and reach an ugly compromise, including on the Hariri tribunal. Discussions with Syria will not only have an impact on the Golan and on Hezbollah's options, but also facilitate movement on the Palestinian track and effect Hamas' calculations - helping to create a positive and mutually re-enforcing regional trend. Israel would then also be in a position to reap benefits from the Arab League initiative. Which brings us finally to Iran. There are additional things Israel can do to isolate the "messianic" and dangerous Ahmadinejad tendency, beyond the promotion of sanctions. Israel should avoid ratcheting up the military rhetoric that is a gift to Ahmadinejad, while pursuit of the above regional strategy would undermine the effectiveness of playing the anti-Israel card and limit Iran's capacity to interfere as a regional spoiler. As he attempts to re-launch his premiership, Ehud Olmert needs to think big, regional and realistic - not narrow, parochial and dogmatic. A tasty little partisan spat is playing itself out in the Jewish media right now over who loves Israel more, the D’s or the R’s. The episode speaks volumes about how far AIPAC has positioned itself in the Republican camp, how deeply in denial the Democrats are of this fact, and how deliciously divorced from Israeli reality the American political debate is. The story is about the Foreign Operations Appropriations Bill voted on in the House last week. With the House back in the Democrat’s hands, language was included to amend what is known as the “Mexico City policy” and to again allow US funding for overseas groups, whose positions on women’s reproductive rights may include the promotion of contraception and the option of abortion. In opposing this clause, 164 GOP Members voted against the entire foreign aid bill. So, how did the rubber hit the road, in this case the Tel Aviv-Jerusalem highway? Well, in opposing the Bill, the GOP of course found itself voting against aid for Israel. For a blow-by-blow account of what happened in the House, read the ever-reliable Lara Friedman’s of APN account here. The aid to Israel, all $2.4 billion of it, is not in question. A formula without doubt will be found, but what happened next is what really speaks volumes. Nothing. Silence from AIPAC. The GOP explained its position. AIPAC chose not to score the vote, nor to in any way publicize any issue it might have with opposition to a women’s right to choose being a higher principle than aid to Israel for the Republican Congressional minority. Democrats started falling over themselves with cries of foul play. Throughout their years in the wilderness of political opposition, the Dems have never been treated with such kid gloves by the, wait for it, non-partisan AIPAC. On a number of occasions “pro-Israel” Democrats had found themselves holding their noses, swallowing hard (temptation to make condom joke suppressed), and voting for Republican ForOps Bill to avoid incurring the wrath of the vote scorers. I am not sure which is more unfortunate, Democratic naiveté or the extent to which AIPAC has aligned itself with the Republican side. Ron Kampeas, writing for the JTA puts it diplomatically, “AIPAC’s decisions to refrain from criticizing the GOP is likely to reinforce the view in some Democratic circles that the pro-Israel lobby has been favoring Republicans in recent years.” You don’t say! So the alliance with the neo-cons and the Christian right was not a heavy enough hint? Rapturous applause for Rev. John Hagee, compared to the boo’s aimed at Speaker Pelosi at this year’s AIPAC conference, meant nothing? Some Republicans were apparently even spinning the story to Haaretz correspondent, Shmuel Rosner, that Rep. Nita Lowey, who was behind the “Mexico City policy” amendment, only introduced it in order to trap the GOP, ignoring Lowey’s record of years of principled commitment to women’s reproductive rights. I have on several occasions expressed my concern at the closeness of the relationship between AIPAC, the Christian right, and the neo-cons. I think it is unhealthy for American Middle East policy, unhelpful for Israel, and unpalatable for the Jewish community. Either AIPAC should undergo a radical rethink or the majority of the Jewish community that supports Israel, but that also supports progressive policies, peace, and the Democratic party, should find a new vehicle for expressing its opinions. Of course people will say “But Israel should not be politicized or made a partisan issue.” Sure, the very basic issue of supporting Israel, or its relationship to the US, need not be questioned. But beyond that, the debate on Middle East policy, on what’s best for America (and by the way, for Israel), who to talk to, how much to promote peace, etc. should be discussed politically as these are political questions. The current Congressional approach, a continual race to prove who loves Israel more, hardly makes for mature or constructive policy. This is mainly because the love being expressed is of the – “I have no time for the real you, or what your problems may be, so I will simply shower you with toys, and thereby express my love for you.” This kind of love has done a great disservice to Israeli interests, and to American interests. As in any such situation, it is a love that encourages irresponsible behavior, the same kind of irresponsible behavior that would ban the provision of US funds to groups that encourage the use of condoms. Today's Sharm el-Sheikh Summit of the leaders of Egypt, Israel, Jordan, and the Palestinian Authority has been somewhat overshadowed by the release of audio tape of the Israeli Corporal being held in Gaza. It is exactly one year to the day since the capture of Gilad Shalit -- and the tape put out by the Izz a-Din Al-Qassam Brigades of Hamas was the first unequivocal sign of life. Understandably, this story has been competing with the four-way Summit for Israeli media attention. The signal from Hamas was clear: we are here, and if you want results, you have to deal with us, not your friends in Sharm. Hamas government spokesman Ghazi Hamed spoke live to Israel Channel 2 News from Gaza and, in Hebrew, called for the resumption of negotiations for a prisoner exchange. This immediately set off the intended debate in Israel -- to deal or not to deal with Hamas, albeit over the limited agenda of Gilad Shalit. Support came from unexpected quarters, such as Shas leader and Minister Eli Yishai. Meanwhile Labor Party Minister, and Bully-in-Chief, Fuad Ben-Eliezer ruled out talks unequivocally. Yitzhak Rabin's former Chief of Staff Eitan Haber reminded Israel Army Radio listeners of the famous prisoner exchange deal of May 1985 when 1,150 Palestinian prisoners were traded for three Israelis. He contrasted this to the tragic, failed military effort to free Nachshon Waxman, under Rabin, in 1994. Haber's message was clear: cut the deal. The family of Gilad Shalit called on PM Olmert to "do what it takes or to stand down from his office." By the way, Shalit's family, through the entire ordeal, have come across as remarkably dignified, stoical, and smart. Hamas was sending a message not only to the Israeli decision-makers and public, but also to their own public and the other leaders gathered at Sharm, Abbas included. And the Hamas-Gaza reality was, of course, the ever present absent at Sharm. Sharm, of course, played out largely according to the script. All the leaders took the pledge of peace -- with precious little in concrete terms on how it might be achieved. Israeli PM Olmert provided a mini-surprise by announcing his intention to release 250 Fatah prisoners in addition to gradually releasing the Palestinian tax monies being held. This was the bare minimum necessary to lend any credence to his new mantra of helping strengthen President Abbas. But Olmert has rejected removing IDF checkpoints, real easing of the West Bank closures, or political negotiations on a permanent status peace. The agreement to establish an Israeli-Palestinian Committee to look at re-deploying the IDF to September 2000 positions does not sound promising at all. (1) It is the continued and active IDF presence that is deciding things in favor of Fatah and against Hamas in the West Bank. That is why the IDF is in no hurry to redeploy and has vetoed any major easing of closures and movement restrictions. (2) The latest set of "help the moderates" gestures continues the back-slide in this approach -- the less of the same. If one looks back over the last years -- the Mitchell Report recommendations, the Tenet plan, the Zinni plan, the Dayton benchmarks -- each time less is being offered. As the challenge becomes greater, the tools being deployed are even more emaciated. (3) The Olmert-Fatah prisoner release to Abbas will go to the Cabinet for approval. Olmert will be criticized and he will expend political capital getting this through. The argument will be: "why release prisoners for nothing? If we're releasing at least get Shalit in return." Abbas, by the way, will be lambasted for taking a sectarian stand on the prisoner release issue (i.e. Fatah only), Hamas will loftily declare that their prisoner demands are for prisoners from all factions. Olmert will explain to America and the world what a big step he has taken and a political price he has paid -- adding for good measure that he cannot be expected to do more. It's the old formula. Sharon used it but he had a strategy: destroy the Palestinian national movement and viable two-state option (OK, a strategy I think was disastrous). Olmert seems to have no strategy -- and that's a real problem. (4) Remember, it's too late to achieve progress with Abbas and Fatah alone. Zvi Barel, writing in advance of the summit, accurately predicts these points in his "best to refrain from kissing this time" op-ed. Can the "president of all the Palestinians" compose a list of prisoners that includes only Fatah members and thus become the president of the Villages Association, an entity appointed by Israel? The attempt to lock Abbas into an embrace of "no-going back to power-sharing" with Hamas, and to push irreconcilability the Palestinian political divisions is extremely dangerous and not so much high risk as almost guaranteed to fail. One slightly off-message leader at Sharm , and by extension, more realistic, was the host, President Mubarak. He gave the slightest of hints that a break with the division policy may be in the offing. Mubarak stated: "There is an urgent need to end internal Palestinian clashes and restore dialogue." We will push the Palestinians to talk together under the right circumstances... Palestinian-Palestinian dialogue has to emerge. Wolf's other guests -- Israeli Ambassador Salai Meridor and Dennis Ross -- were in a very different place. It has also been reported that Ismail Haniyeh spoke on the phone with Egyptian Intelligence Minister Omar Suleiman -- in part, repeating the Hamas offer to restart unity talks. The Egyptians and like-minded Arab States, including Saudi Arabia, will move cautiously, but the division is likely to become increasingly untenable. The official Israeli head is still deep in the sand on this one, though not nearly as deep as Washington's. The Hamas audio tape today was a message, if a deal can be reached and a ceasefire developed from Gaza, then Jerusalem's ears ought to start to emerge from the sand. It currently appears that Hamas leaders are adopting a more pragmatic approach. They do not want political, economic or military battle. But the immediate future is primarily up to Israel. Just a few days have gone by since the establishment of Hamastan, but we have already seen how Israel responds on two levels. The moment it took control of Gaza, Hamas declared a unilateral ceasefire with Israel. For over a week, not a single Qassam rocket was fired at Sderot; but, after just one day in the job, the defense minister approved a new operation against wanted terror suspects in Khan Yunis. Five Palestinians were killed and four were injured and, unsurprisingly, the very next day the Qassam attacks on Sderot started again. On the diplomatic front, Israel continues to pin all of its hopes on Abu Mazin and his Fateh movement. The current Israeli policy is a failure and is the opposite of the siege policy that we implemented until now. The Palestinian population of the West Bank and Gaza Strip will not support Fateh; a movement that has passed its prime. It will certainly not support a leadership that has the backing of Israel and the United States. This is surely the time for Olmert and Israel to reevaluate the situation. The dust is beginning to settle on a new Palestinian reality. Official statements from Washington, Israel, and the new Palestinian government in Ramallah suggest an emphasis on betting everything on the Abbas/Fatah option against Hamas, with goodies for the West Bank, while Gaza is kept on a strict diet. This is the proposed shortcut to a two-state solution. It may sound new, but it's really the old Plan A on steroids. Martin Indyk came out with a much smarter and more nuanced approach to "West Bank first," but it is the blunt and bludgeoning version that is likely to be adopted by the respective leaderships. I doubt whether even the sophisticated version can work. I have presented a lengthy critique of this approach elsewhere, as have others, notably Rob Malley and Aaron Miller in the Washington Post, and Jonathan Freedland in the Gaurdian. But here I want to begin to sketch out an alternative, Plan B, consisting of three phases – stabilize, consensus build, and re-launch a better grounded peace process. Before I detail this, it is important to note that both approaches share the goal of realizing a two-state solution and are predicated on enhanced international engagement. The current buzz is of the appointment of a high-level Quartet envoy, perhaps outgoing British Prime Minister Tony Blair. This should be supported if the mandate and the mission are soundly defined. With a collection of leaders who are all racing against the clock (Bush, Olmert, and Abbas), quick fix solutions that rest on shaky foundations might be sought, but should be cautioned against. A dash to the finish line of a signing ceremony to initiate Palestinian statehood is not enough. Support structures should be put in place that are sufficiently solid and robust that they will be able to carry the heavy lifting job of implementing and sustaining a peace agreement. The odds are stacked against Plan A being able to deliver that. One guiding experience should be Israel's unilateral disengagement from the Gaza strip in August 2005. It was the right thing to get out of Gaza, but the framing, unilateralism, was all wrong and the outcome did little to further the real goal of an end to occupation and a two-state arrangement providing security to both peoples. The way the next moves are framed and calibrated will be crucial to their prospects of success. Realizing a sustainable two-state solution should be the driving vision, and not, as some have framed this, scoring points in a supposed clash of civilizations. The door must be left open to bringing Hamas into the process. The current approach strengthens hardliners within Hamas as well as salafist forces more radical than Hamas. Perhaps this framing is considered to be such a non-starter that alternative policy options derived from it are not being articulated. They need to be. Here is a first draft for a Plan B - stabilize, consensus build, and re-launch a better grounded peace process. A. Work with Abbas and his new government, but avoid hugging them to death or locking them in to an irreconcilable division between Palestinian factions. Ongoing efforts will be made to ease conditions on the West Bank. In the initial period there should not be expectations of dramatic Israeli moves in the context of a fragile security reality. Tax monies will be released to the new government, and should be used proportionally between the West Bank and Gaza, prisoners could be released. B. Those elements within Fatah and Hamas and in the Arab world (hopefully including Saudi Arabia) who are convinced that the only stability and peace-building option for Palestinians (and Israelis) is via Palestinian power-sharing and national accommodation should establish channels of dialogue and negotiation towards that end. Supportive members of the international community (such as Norway, South Africa, Switzerland, Turkey and certain EU-member states) should use their good offices and involvement to advance this dialogue. New options for a power-sharing Mecca II National Unity Government should be developed and initial feelers sent out to the Quartet, the US, and Israel. Fatah and Hamas prison leaders may also take a lead role in this effort (as was done previously with the Prisoner’s Document). C. Fatah will be expected to reign in its armed militants on the West Bank, to incorporate them into regular security forces, and/or initiate a process of collecting unauthorized weapons. This would be an important step towards an eventual security sector re-structuring and integration of all national security forces. In the meantime, there will be no additional arms provided to any factions. D. In Gaza, Hamas will be expected to undertake a similar process of regularizing the carrying and display of weapons and the collection of unauthorized weapons with a view to a later integration of security forces. Hamas should impose order and a ceasefire that will also be accepted by Israel, whereby the IDF will avoid provocations against Hamas in the West Bank, if a full ceasefire is respected from Gaza, including the prevention of all Qassam rocket fire. Negotiations should resume for a deal to release Israeli Corporal Gilad Shalit. E. Mid-level officials will coordinate between Israel and Hamas (Gaza) (directly or via international agencies) in order to prevent a humanitarian crisis and allow normal life to resume (albeit Gaza normal). Supplies will continue to reach Gaza via Israel with appropriate security arrangements. A. Once the conditions are ripe, and understandings are taking shape, Abbas, the Fatah and Hamas leaderships should commit themselves to a new power-sharing political arrangement. Abbas would convey to his American, Israeli, Arab and international interlocutors that the Palestinians have chosen the path of national political accommodation, and are ready to commit to and deliver on a ceasefire and a political process with Israel. Hamas would communicate through its channels the readiness to work with Abbas, to recognize his leadership role in the diplomatic negotiations, and to respect security undertakings. Both movement’s leaderships would commit to preventing internal dissenters from undermining the new accommodation. B. Expand out the circles of support around this new way forward: Hamas and Fatah would explain their respective positions and Abbas would advocate international acceptance of the new Palestinian national framework as having the delivery capacity, especially on security, to carry forward a peace process. The Arab states, notably Jordan and Egypt, would buy-in to the new consensus and work to convince Israel and the US, as should Europe. Ultimately, the US and Israel would have to agree to respond differently to a Mecca II – perhaps stipulating real but realizable benchmarks for acceptance. Israel could also outline its expectations of Arab support in a re-launched serious peace process. C. Security: efforts will be focused on solidifying a comprehensive ceasefire arrangement that includes the West Bank and Gaza. All unauthorized weapons should be removed from use and display, Palestinian security forces will be restructured in an inclusive way and there would be no individual based support for particular security strongmen. Israel would commit to respecting such a ceasefire and to avoid initiating military actions. Effective arrangements would be put in place, including at the Egyptian border, to prevent arms entering Gaza or the West Bank. E. If it has not happened already, appoint a high-level special Quartet envoy to coordinate the new consensus building in advance of launching a renewed peace effort. Initially, the Envoy should activate discreet and indirect channels to all relevant political actors. A. Launch a comprehensive regional peace process on all tracks. Israel and the new Palestinian government announce their readiness to begin serious political negotiations on all issues. This process should also involve Syria, which is important in itself, and can help reduce tensions as well as to avoid spoiler tactics that might undermine the process, emanating from both Lebanon and from within the Palestinian arena. A comprehensive peace effort should design negotiating tracks that are mutually strengthening. This would facilitate movement on the Arab League Initiative. In the United States this move should also be seen in the context of efforts to re-stabilize the region as part of a new diplomatic approach to Iraq and would be in line with the recommendations of the Iraq Study Group report. B. As the security situation is further stabilized against the backdrop of the ceasefire, major efforts should be undertaken by Israel to dramatically free up living conditions in the West Bank, and to remove outposts and outlying settlements. This would be in parallel to the big picture political negotiating process that would be launched. C. Previous agreements reached that re-link Gaza to the West Bank should be fully implemented – including the Access and Movement Agreement from November 2005. The process of re-integrating the two geographical parts of the future Palestinian state should not be further delayed. Maximum openings should be facilitated between Gaza and the outside world. D. As these efforts progress, the Arab states, in the context of the Arab League Initiative, should undertake certain diplomatic gestures towards Israel. This could significantly help strengthen Israeli domestic political carrying capacity during the process. E. On the Israeli-Palestinian track, the negotiating goal should be defined as a permanent status agreement. In the absence of an ability to reach such an agreement, the process should not be defined as an all or nothing effort that has collapsed (learning from Camp David 2000). Rather, two fallback efforts would be simultaneously deployed: (i) the Quartet should put forward its own detailed parameters for permanent status and perhaps have them endorsed in a UN Security Council Resolution, and (ii) Israel would undertake an immediate agreed withdrawal from the West Bank towards permanent borders with agreed international forces taking the place of the IDF. These ideas obviously need to be expanded upon, played with, and developed, but the point is this: there is a more effective route back to a stable and secure peace process than the – "more of the same, just under less promising circumstances" that is currently being considered. Yes, its time for a Plan B.
I decided to have a bit more fun with Olmert's recent trip to the White House. Read it here on the Guardian's Comment Is Free blog. More on Palestine -- What Next? Having embraced one illusion -- that it could help isolate and defeat Hamas -- the Bush administration is dangerously close to embracing another: Gaza is dead, long live the West Bank. ... If Hamas is convinced that there is an effort to strangle its rule, it is likely to resume violence against Israel -- either directly or through one of many militant groups, Fatah offshoots included. There will be no shortage of militants angry at Fatah leaders' dealings with Israel or hungry for cash. If such violence occurs, hope for progress in the West Bank will come crashing down. We should not be fooled by Abbas's rhetoric. Sooner or later he will be forced to pursue new power-sharing arrangements between Hamas and Fatah and restore unity among Palestinians... [S]hould a national unity government be established, this time they should welcome the outcome and take steps to shore it up. Only then will efforts to broker credible political negotiations between Abbas and his Israeli counterpart on a two-state solution have a chance to succeed. This echoes many of my arguments from Friday -- so no wonder I agreed with it! In particular, they draw the connection between Hamas-Fatah power-sharing and getting momentum back on negotiating a two-state solution -- something I did not emphasize enough in my Friday post. At a Washington Institute for Near East Policy (WINEP) event Monday, Rob Malley expanded on this theme. I could not be there, but Guthrie Gray-Lobe -- who is the secret weapon of prospectsforpeace.com -- did attend. Guthrie explains that my New America Foundation colleague, Ghaith Al-Omari, was also promoting the deeper power-sharing idea -- with emphasis on strengthening Abbas and Fatah in advance of future negotiations with Hamas rather than as an alternative to those negotiations. Lebanese Daily Star editor, Rami Khouri lambasts the "strengthen Fatah moderates" approach in unforgiving terms, describing the "moderation" that Abbas represents as having "little anchorage in reality anymore, and has little credibility with Arabs above all." It would be best for our Palestinian brothers to return to their commitment to the Mecca agreement [on Palestinian unity] and work to carry it out. And, although key Arab States are now backing Abbas, some are likely to re-float unity government ideas in the near future. Similar calls are likely to be heard from within Fatah and Hamas. Most of the Hamas leadership have already adopted this position while some Fatah leaders who might favor such an approach including Marwan Barghouti, are setting preconditions. The current anger and refusal to consider power-sharing is real, but much of it is more of a tactic than an absolute. Many in Fatah will be sensitive to charges of being complicit in punishing Palestinian Gazans, and will feel very uncomfortable with an American-Israeli bear hug. Sections of the Arab press have started referring to some of Fatah as "Lahadists" -- taken from the name of the SLA leader Antoine Lahad who ran the Israeli proxy army in South Lebanon. Likewise, Hamas leaders are sensitive to accusations that they have damaged the Palestinian cause and overstepped the boundary in their behavior. And Hamas is constantly conscious of the danger of being labeled Persians or Shia in the exclusively Arab-Sunni Palestinian society. This is based on the support they receive from Iran and was chanted at several Fatah rallies. So common interest may be found in returning to power-sharing. Already in Gaza, some important remaining elements of the Fatah leadership are in close contact with Hamas, notably, Ahmed Hils, who led Gaza Fatah opposition to Dahlan. The Palestinian owned Al Quds Al Arabi newspaper drew the following conclusion in its editorial: "The resumption of dialogue between the two poles of the Palestinian political movement, Fatah and Hamas, is the only way to get out of the catastrophe." And the Financial Times editorial notes: "there may be no way back. But if there is, it requires urgent Arab mediation to get Hamas and Fatah back into a caretaker government." If and when that happens, President Bush should drop his colossal ideological struggle narrative and take a drop of the American Realism elixir that Secretary Rice Was recently promoting. The western strategy, endorsed not only in Jerusalem and Washington but by European foreign ministers at their meeting in Luxembourg on Monday, is to set up an elaborate demonstration exercise for the Palestinians. They will be offered two alternative Palestines and asked to choose which one best represents their future. On the West Bank shall arise Fatahland... In Gaza, meanwhile, would fester the new land of Hamastan. The sounder approach is surely to recognise that Hamas is now a fact of life in Palestine, just as political Islam is a fact of life in the Middle East. We may wish it were not so - I certainly do - but we cannot wish it away. ... It's time to recognise reality and to follow the oldest advice in the diplomats' handbook: you don't make peace with your friends - you make peace with your enemies. A leading Ha'aretz economics correspondent, Nehemia Shtrasler, has this remarkable op-ed entitled "Unmoved by the humanitarian crisis." In it, he attacks those who think Israel should punish Gaza now and that Israeli policies heretofore have been too charitable. By name he goes after Likud leader Benjamin Netanyahu and the National Union Party's Zvi Hendel. But many share their view, suggesting Israel has no blame or responsibility for the situation in Gaza and should act accordingly. Robert Satloff walked down this path in comments he gave this week at the Washington Institute on Near East Policy where he is the Executive Director. Israel has used the resources of the West Bank and Gaza shamefully, taking full advantage of the occupied areas. For years, Israel prevented the Palestinian territories from developing and setting up factories due to opposition from Israeli industrialists, but exploited the cheap and humiliated labor pool. In addition, Israel prevented the Palestinian Authority from setting up a large power station so that it could remain dependent on the Israel Electric Corporation. Israel also prevented the construction of a port so it could control all the imports and exports, and put Dor Energy in charge of supplying the territories with gas. Shtrasler is no foaming-at-the-mouth socialist. He is an honest economist and a very credible Israeli voice. Next time someone claims the Palestinians brought this all on themselves and Israel has no responsibility in the past or the future, please insist they read this! The Israeli Prime Minister was in Washington today and his press conference with President Bush was a bizarre affair. It all sounded a lot like "thou dost protest too much" as both men tried to put a positive take on a policy which saw its wheels spin off just days ago. The President seemed to find great excitement in being confronted with yet another Middle East policy failure. President Bush managed to mention "exciting" no less than three times in his short on-camera Q&A with Olmert. I would humbly suggest he finds other ways to get his kicks. There is nothing "exciting" about the woeful state of affairs in the region -- what is required is a hard-headed rethink, not boyish enthusiasm. As predicted on this blog and elsewhere, the two leaders began to roll out their new/old approach on the Fatah, West Bank spiel I have referred to previously. Interestingly, the President described the situation in stark ideological terms, as a "monumental" "ideological" struggle -- precisely what Israel has worked hard to avoid all these years. Yes, for a minority of Islamists this is a struggle to the death and no compromise can be contemplated, but for the vast majority of Muslims, Arabs, and Palestinians, this particular conflict is still about a specific grievance (the occupation and lack of Palestinian statehood) -- and it can be resolved along the 1967 lines. Israel would do well to sit out the holy wars of the current President and his neocon buddies. PM Olmert might also look to part of what the President is actually doing in Iraq, rather than sign up to the more grandiose good vs. evil rhetoric. In Iraq, the US is talking to, working with, and even arming a very broad network of potential allies who oppose Al Qaeda -- including former insurgents with American blood on their hands and people who are dead set against the US occupation of Iraq. That's how you maximize your potential allies and reduce your adversaries to a more manageable minimum. Israel should adopt a similar approach with the Palestinians. That means engaging, probably indirectly, with Hamas. Israel has done this in the past and Hamas has proven to be a more reliable adherent to ceasefires than elements of the Fatah militia. Rob Malley and Aaron Miller have more on this in today's Washington Post. The last few days have been obscenely hectic, events in the region, the Olmert US visit and a lot of media. I have also been reviewing media commentary and looking back at my own long analysis piece, I will be responding to some of your comments in a post soon. A lot of the positions prospectsforpeace.com has been taking are echoing widely. A fair number of commentators, Israeli, Arab, and international, have pointed out the role of the boycott of the unity government in precipitating last week's events. Bush holds preferred shares in the debacle. His democratic gambits set fire to the entire region, his black-or-white policy left the U.S. wading in another quagmire whose end in the U.S. has no hope of reaching. His policies scared off the moderate forces, bolstered the radical forces and have made the Middle East far more dangerous and volatile. The sanctions did not encourage the unity government to function properly. They killed it off... Far from being a success, the international boycott on the Hamas-led national-unity government has proved to be a disaster. Palestinian leaders of all stripes are responsible for the collapse of their national project into quasi-tribal internecine war. But the Bush administration can add this mess to its catastrophic record in the Middle East. By imposing unrealistic preconditions, and then sanctions, on Hamas after its 2006 election victory, and then backing local Fatah warlords, it seemed actively to seek this violent outcome – another human disaster for the Palestinians. Fatah was forced to overrule the Palestinian voters because the entire world demanded it do so. The United States, the European nations, most of the Arab leaders and, of course, the State of Israel, warned Fatah not to share power with Hamas. There have, of course, also been bitterly hostile exchanges -- verbal and written now, less military, between Hamas and Fatah personel over what happened. It does seem that Hamas moved preemptively to prevent the build-up of Dahlanist-Fatah force capacity in Gaza -- a build-up that Washington, Jerusalem, and others in the region were all active partners in. There has been massive criticism, not only from Hamas, but also within important Fatah circles, of the role played by Dahlan and his deputies. Neither Dahlan, nor the head of the International Security Forces Rashid Abu Shibbak, nor a key Preventive Security Forces leader, Samir al-Mashharawi were actually in Gaza for any of last weeks clashes. Marwan Barghouti, from his Israeli cell, is leading the calls to sideline Dahlan. Israel's contribution to this deterioration has also played a key role. Marwan Barghouti is in an Israeli jail and Israel continues to prefer the corrupt and weak Arafat cronies over the new generation of Fateh leaders. Hamas, too, has hardly emerged smelling of roses! The cruelty on display from Hamas has received a very wide airing -- even if some of those focusing on it are rather late arrivals in expressing concern for Palestinian suffering. Both Fatah and Hamas have lost credibility. Ousted Fatah loyalists in Gaza widely suspect a political decision was made early on in Ramallah to surrender the Gaza Strip to Hamas in order to extricate Abbas, Israel and the US from the seeming intractable pickle they were facing as infighting spiraled, living conditions worsened, and the peace process seemed hopelessly stuck. With the Palestinian territories now split, the US, Israel and Abbas suddenly have way forward, without compromising to Hamas. As is clear from the above, I think this approach is wrong-headed and more of the same failed policies, rather than a departure from them. I want to explain why that is and what the alternatives might be. To understand the shortcomings of both the existing and proposed “new” policies, a little background is needed. I will try to keep this brief. There is sometimes a tendency to be dismissive of developments on the Palestinian side and choices that they make and to assume that one can reconfigure Palestinian reality by external edict with relative ease. I have attributed, I think justifiably, significant blame for the current predicament to external actors, but there are internal Palestinian dynamics at work whose significance should not be underestimated. Palestinian society has undergone a process of Islamasization or a deepening of religious trends in the last years that is part of a more general phenomenon in the Muslim world. Part of the Hamas ascendancy should be seen against that background. The death of Arafat set in motion a period of Palestinian transition that was aching to happen (for an excellent explanation, see Rob Malley and Hussein Agha in the recent New York Review of Books). The era of single party Palestinian rule is in the past. It cannot be reimposed, nor should that be tried, some variation of Hamas is now a fixed feature of the Palestinian political landscape. Another important lesson of the last years is that absence of an active peace process and an engaged US administration, does not apparently make Israeli and Palestinian hearts grow fonder. Rather, with no peace process to pin one’s hopes on, other, more destructive options, fill the vacuum and capture the public imagination. Any exercise in learning the lessons of what went wrong should include the need for a consistent drive towards peace as a linchpin for any constructive realistic policy alternative. And finally, the jury is in on unilateralism. It is, predictably, a woefully short-sighted approach. The emerging plan that I am critiquing here might have made sense in 2005 after the death of Arafat and Abbas becoming President in the run-up to Parliamentary elections. I, too (rightly or wrongly), advocated a variation of this approach in 2005. If the proponents of the Fatahland versus Hamastan plan have developed a time machine that can take us back to 2005, then they should come clean and reveal it. If not, they should not pretend that the last 24 months can be wished away. The toothpaste is out of the tube. Hamas democratically won an election deemed to be free and fair by outside observers. From that moment on, the policy pursued by Israel, America, most of Europe, and the Arab world has not been helpful. It has failed to deliver on its express purpose, namely strengthening Fatah against Hamas, and at the same time has weakened the realist camp within Hamas that was beginning to grapple with the practicalities and implications of entering the democratic process, it also set back, rather than advanced prospects for peace and security. Any policy predicated on this same premise will meet the same fate. A paradigm shift is called for. Rather than encouraging whatever Hamas capacity for flexibility might have existed, the policy disempowered those very tendencies within the movement. The decision to boycott and not engage the Hamas government meant that the theory, whereby assuming a governing role can moderate militants-in-transition, was not put to the test in the Palestinian context. When the unity government was formed at Mecca between Fatah and Hamas, another opportunity was missed. That arrangement was fragile from day one, opposed, as it was by significant forces from within Fatah and Hamas. One option would have been to work to empower the core groups in both Fatah and Hamas and other factions who did want to give the Mecca deal a chance. This was not the option pursued by external actors. 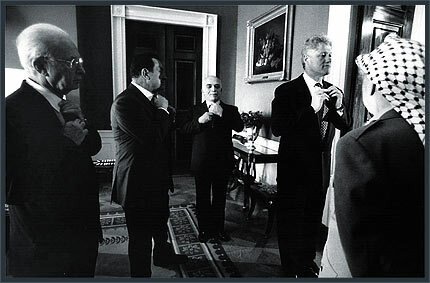 Israel and America sided with a faction within Fatah, whose goal was the collapse of the unity deal. With certain Arab support, financial, material, and even military assistance was provided to that faction within Fatah. It is true also that the Hamas military wing continued to receive similar external assistance from its supporters. Europe strongly hinted to the Palestinians that if a unity government were to emerge, then the EU would end its diplomatic and financial embargo. The opposite happened and Europe, too, shoulders some responsibility for what has gone on. Inevitably, the assistance and weapons intended for Fatah are now in Hamas hands. Less than three weeks ago, at a Congressional hearing, the American security envoy, General Dayton suggested that the security assistance package to the security forces of President Abbas should be supported and even contended that the national security forces were looking good against Hamas. They were routed this week. I think General Dayton is trying to make the best of an impossible mandate. Talking to only one side and getting the picture of the realities on the ground only through one lense, normally leads to bad policy. Round one of defeating Hamas militarily has failed. Round two should not be tried. Its results will likely be terror emanating from the West Bank or the emergence of an al-Qaedist alternative to Hamas. This is an important part of looking at things as a simplistic Fatah-Hamas dichotomy. There is a third way. It is about al-Qaeda wannabes and copy-cats and they are likely to be the big winners if wise-heads fail to prevail. Embracing the Fatahland versus Hamastan project would represent a willful denial of these past mistakes. The approach is a combination of fuzzy headed thinking and wishful thinking that is likely to undermine the prospects for both security and peace. In truth the plan is unlikely to get off the ground, but it may become the guiding policy orientation and block out other options. If it does begin to fly, here are some additional reasons why the plan is unlikely to work. First, if Hamas sees such an effort being carried out, then it will be incentivized to create a security crisis emanating from the West Bank. Hamas, Palestinian Islamic Jihad, or renegade Fatah guns-for-hire will try to precipitate a violent clash from the West Bank. If, as is likely, they succeed, then Israel will quickly lose its appetite for any positive gestures it is making to Fatahland in the West Bank (easing of closures, redployment of IDF, etc). Second, no Palestinian leadership that takes its domestic credibility seriously can pursue a position of cutting off the West Bank from Gaza, let alone starving Gaza over a period of time. It may sound attractive and, instinctively, in the heat of the moment, some Palestinians might even welcome it, but it is unsustainable. No Palestinian President or government can accept the situation whereby they cannot enter Gaza. Imagine a Palestinian government that accepts the PA tax monies that Israel is withholding, but spends them exclusively in the West Bank, while Gaza is suffering. Is that really the way to make Fatah popular again?! Third, the Arab world and the Palestinian diaspora will not put up with such a situation over time. Supporting such a policy will only further weaken the already embattled Arab regimes in the eyes of their own publics and is likely to lead to unrest in the already volatile Palestinian refugee camps in Lebanon. Such sentiments could even spill over with destabilizing consequences to the Palestinian community in Jordan. This really is head buried deep in the sand stuff. Finally, this is no basis on which to build a stable or sustainable peace process. Violence is likely to torpedo the process. An Abbas at war with Hamas is less of a partner than an Abbas who can deliver Hamas. That is the basic equation that needs to be recognized. And one more fuzzy headed idea – deploying an international force in Gaza right now. A force deployment under the current circumstances and by powers, who neither recognize, nor engage with Hamas is ludicrous. Show me a military willing to deploy under such conditions and I suggest it is an army desperately in need of either cash or political guidance. Creating a working political accommodation between Fatah and Hamas has obviously just become much more difficult. Yet if allowed to fester, it could lead to an ongoing crisis and breakdown that will become ever more difficult to reverse. Harsh division within a given polity, wherever it is allowed to fester and especially when both sides are heavily armed rarely produces good results (see Lebanon, Iraq, Somalia). In one respect, at least, the current escalation and breakdown perhaps presents one advantage – that the artificial unity of post Mecca has been exposed and that any future deal will clearly require deeper power-sharing and greater buy-in. There are still significant elements within Fatah and Hamas that understand the need for reconciliation sooner, rather than later. There are likely to be Arab-led or other efforts to bring Hamas and Fatah back to the table. Again, success will neither be easy, nor quick, but building an arrangement for deeper power sharing is the best option, certainly from a security and peace perspective. This will require a different delineation of security responsibilities and incorporation of militias and an agreed upon stabilization plan that would win international support. The international policy of divide and rule will have to find its resting place, along with the more aggressive version of selective engagement. Europeans, Arabs, and others should begin to explore the parameters for a deeper power-sharing arrangement with the two parties. Efforts should be made to cease the arming up of either side, importantly this should include the flow of weapons from Egypt into Gaza. If the Bush administration cannot sign on to this change in policy direction, it should at least do no harm, sit this round out, and let others take the lead. In the meantime, Israel and Hamas will have to sober up and find ways to conduct their interaction over urgent humanitarian issues, such as food, power, water, and medical supplies. The two main criteria for calibrating progress with Hamas should be security and respect for the rule of law and democratic process (this should apply to Fatah also). Interestingly, a Hamas-led Gaza may be better able to impose security discipline – no Qassams have been fired in the last days. Israel should be seriously exploring, via intermediaries, the possibility of a comprehensive ceasefire. Hamas should see to the immediate freeing of the BBC’s Alan Johnston and negotiate a deal for the release of Israeli Corporal Gilad Shalit. Rather than hurtling towards new elections, the Fatah-Hamas Humpty Dumpty needs to be put together again. A renewed negotiating process will require Israeli and Palestinian partners. The Israeli side of that equation is problematic, but not our immediate subject. The Palestinian side must have credibility -- in Palestine, not Washington -- and recreate a Palestinian national agenda. There are people in Fatah and Hamas still trying to do that, the Prisoner's Document is an example. Their success should matter to Israelis and Americans seeking to advance their own respective national interests and security, and working to re-stabilize the Middle East. The alternatives are appealing, but illusory and their pursuit is plain dangerous. In light of the dramatic escalation of violence in Gaza and President Abbas’ move to disband the Palestinian government, the U.S. needs to urgently re-think its failed policy in the Middle East. Palestinians, and Israelis too, have much blame to shoulder, but American disengagement from the Israeli-Palestinian peace process for six and half years and its pursuit of regime change in Palestine have contributed significantly to the new developments. In its failed effort to prevent Palestinians from embracing Hamas, the U.S. is driving them instead into the arms of Al-Qaeda. America should resist calls to play off the West Bank against Gaza and Fatah against Hamas. Instead, allow Palestinian politics to take its course, prepare to re-launch a serious Israeli-Palestinian political process as soon as any opening exists, and work where possible to create such an opening. Gaza seems to be descending towards a civil war, Lebanon lurched closer to conflict with the killing today of MP Walid Eido and ongoing clashes at the Nahr El-Bared camp, and the Iraqi civil war, already long underway, took another desperate turn with the re-bombing of the Shia mosque at Samarra. Each of these situations has its own complex circumstances and particular set of actors, causes, and dynamics. They cannot be neatly filed under one common rubric -- say extremists vs. moderates, or Iran vs. the US. Yet it is possible, perhaps, to discern at least one unifying theme: each of these conflicts is, in part, the pushback against the neocon transformationalist agenda for the Middle East. I am not suggesting that the US is solely responsible for the woeful state of the region, but the contribution of a mistaken and rigid ideological dogma applied to the region has been dramatic and devastating. Read this report by just-deported UN Envoy de Soto for a clearer picture of what's going on. On paper, at least, two possible US strategies might have been considered. One would be an assessment that the US-favored side could win an internal clash and would, therefore, be supported, funded, and armed toward that end. The other point of departure would be that a political accommodation and compromise between rival factions would ultimately be necessary, and that the best thing any US intervention might hope to achieve would be to strengthen the hand of its ally in advance of domestic political negotiations. Given the apparent rigid opposition of the Bush administration to a political compromise between Fatah and Hamas, its rejection of the Mecca deal, and the embargo on the Unity Government -- it is apparently safe to assume that the second option was rejected. However, the first option, even ignoring considerations of the desirability or ethics of such an approach, simply makes no sense in the Gaza context. Currently Hamas clearly has the upper hand militarily, and that was predictable. But even if Fatah were in a stronger position, a military victory, if at all possible, would likely have come at a massive price in human terms but also in terms of social disintegration, and a likely after-effect of increased radicalization. So the US was encouraging a military confrontation that its favorite could not win, and was further muddying what would anyway have been a very difficult political accommodation. With most of the votes in already, Ehud Barak has taken an almost unassailable lead over Ami Ayalon in the Labor Party primary. The vote machine put together by Barak and allies seems to have delivered, especially with the Kibbutz, Arab, and Moshav sectors. As Prospects for Peace predicted yesterday, the momentum was swinging in Barak's direction. The other big winner, in the short term, should be Prime Minister Olmert, as Barak is very unlikely to bring down the coalition. I'm not going to go into more details on the implications now, as it seems that the developments on the Palestinian side are more urgent, and I'll be posting on those shortly. Zbigniew Brzezinski, speaking today at a foreign policy conference sponsored jointly by the Center for American Progress and The Century Foundation, cautioned against the unilateral pursuit of national security at the expense of the "effected security" interests of nations. "Security is more than just physical power. National security in this day," he said, "is not an absolute, but a relative condition." According to this framework, the narrow pursuit of a nation's own security without consideration of, and compromise for that of others is not a sustainable policy, as it can ultimately generate a degree of global insecurity which would be insurmountable to any "physical power." Brzezinski began the talk, entitled "National Insecurity and Global Security," by citing two recent studies, one poll from the BBC, the other, a peace index from Economic Intelligence Unit. Both studies found Israel, Iran, and the United States to be widely perceived in the global community as among the most menacing figures in the international arena. In an attempt to explain these findings, Brzezinski enumerated the reasons, justified or unjustified, for which each of these three nations perceives their own insecurity. Iran, for instance, has a "genuine concern, and probably justified, about a military encirclement by the United States," a nation which is known for "established examples of unilateral use of force based on false information," and which appears to go on a "periodic search for an annual enemy of choice." Not surprisingly, Brzezinski finds each of these separate national security interests to converge in the Middle East where Iraq and the Palestinian occupied territories continue to befuddle all three nations. While advocating a broad regional dialogue in the Middle East, Brzezinski underlined the importance of the Israeli-Palestinian conflict for any strategy aiming to repair American standing in the region. "The Israeli-Palestinian [conflict]... is poisoning the political atmosphere in the Middle East, and generating hostility to the United States." According to Brzezinski, such hostility toward the US will, in turn, generate insecurity for Israel which depends on American power in the Middle East for its own security. Brzezinski asked, "As the American position [in the Middle East] is being undermined, what are the long range consequences of that undermining?" 1) No right of return. 3) Borders based on the pre-1967 lines with mutual land swaps to incorporate certain settlements into Israel and to compensate the Palestinian state with land. 4) A demilitarized Palestinian state with an international, perhaps US, presence. Regarding Iraq, Brzezinski stressed the need for a dialogue "that includes Sistani, Hashim, and above all else, Al Sadr." He also rejected the idea of applying the so-called "South Korea model" to Iraq: "On Iraq we have to signal credibly that we're not going to be staying there." We must be ready to discuss "what happens when we leave, how we leave, and most importantly, when we leave." Brzezinski wants that date to be "in about 12 months or so." The conference also included a panel on the Middle East which discussed the Israeli-Palestinian conflict in the broader context of waning American credibility in the region. Daniel Levy, along with Ellen Laipson and Daniel Kurtzer, participated on the panel moderated by the New York Times' Helene Cooper. Jay Solomon has a fascinating piece on the Israeli-Syrian-Lebanese triangle in today's Wall Street Journal. Jay is extremely knowledgeable and well-informed when it comes to the region. He is a frequent visitor, has spent time in Lebanon, and was the Wall Street Journal correspondent to Pakistan after the killing of Daniel Pearl. [T]he Bush administration... is being forced to balance the potentially diverging interests of two of its most important allies in the region, Lebanon and Israel. ... Lebanese and Israeli leaders are exploring what may be conflicting strategies to counter the Syrian threat, U.S. and Middle Eastern officials say. How Washington navigates the competing interests of its two allies with respect to Syria could have a major impact on its ability to prevent another major regional clash after last summer's war between Israel and the Lebanese militia Hezbollah. ... after street protests there in 2005 forced Syria to withdraw its remaining forces from Lebanon. The Bush administration seized on the election of Lebanese Prime Minister Fuad Siniora months later as a symbol of what it described as a democratization wave sweeping the Middle East. After last summer's war, the White House made stabilizing the Lebanese government a cornerstone of its Middle East strategy. This policy has increasingly placed the Bush administration on a collision course with Damascus. Late last month, the U.S. pushed through the United Nations Security Council an international tribunal to try suspects in Mr. Hariri's assassination. If the U.S. decides it's going to the mat to secure Lebanon, then this will have huge implications on the Syrian-Israeli front. So a meaningful and difficult-to-stomach US shift on Syria/Lebanon is a prerequisite for real Israeli-Syrian movement -- although not a sufficient condition -- for that the parties themselves must be ready and able. But Jay does put his finger on a real chicken and egg question here: will Israel not move until the US signals a policy shift, or will that shift only be considered once Israel moves -- and, of course, can Syria up its own game in responding constructively. Tomorrow is the second and decisive round in the primary election for a new Israeli Labor Party leader -- and, as the finishing line approaches, Ehud Barak is looking stronger than Ami Ayalon. A popular MK, Shelly Yachimovich, has defected from the Amir Peretz alliance with Ayalon to support Barak. She told Israel radio this morning that neither candidate was good on social issues, but Barak was the least bad option. Hardly a ringing endorsement, but the labor unions (bizarrely!) are mobilizing for Barak and even Prime Minister Olmert's office is spinning in his favor. Israel's Channel 10 News ran a last minute poll giving Barak 46 percent compared to Ayalon's 39. 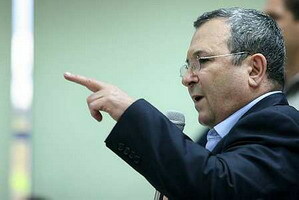 It will be tight tomorrow, but a legacy of scorched earth policies when it comes to the peace process and the Labor Party does not seem to be preventing Barak's return to the limelight. As I mentioned in previous posts, this has everything to do with vote contractors and nothing to do with popularity. Israel Channel Two's effervescent political correspondent, Rina Mazliach put it thus: "everywhere where the vote is free and by individual choice, and not organized blocs of bought voters, Barak loses." Barak has run on two issues, one questionable, the other just plain scary: First, that Barak is the only one who can beat Netanyahu in a general election. On this, the pollsters would beg to differ, as surveys find that Ayalon does significantly better than Barak. Second, that Barak is the experienced leader needed for war. Uh, OK... but that kinda suggests his approach to conflict is 'bring-it-on' rather than 'prevent it.' That troubled and troubling Olmert chap suddenly seems rather reasonable in comparison! This weekend's Israeli papers are almost single-issue editions, but over there it's all about Israel-Syria, war or peace, not Paris Hilton. The Israeli daily Ma'ariv has a poll showing 84 percent of Israelis oppose a total withdrawal from the Golan (though it split almost 50 - 50 on a partial withdrawal). Ma'ariv's lead opinion writer, Dan Margalit calls on Prime Minister Olmert to form a cross-party national advisory council to manage the Syria file and to build a broad consensus for a peace deal. Haaretz' lead analysis piece by Amir Oren discusses a countdown to war, and how it might still be avoided. And in Israel's bestselling daily, Yedioth Ahronoth, Romem Bergman presents a lengthy, detailed and highly informative history of all the past Israeli-Syrian negotiations -- under Rabin, Netanyahu, and Barak. This media frenzy comes in the wake of Wednesday's Israeli cabinet meeting that reviewed options regarding Syria, a highly publicized war training exercize on the same day, and a fever-pitched rumor mill of secret back-channel messages running between Damascus and Jerusalem. The pictures on all the Israeli news channels on Wednesday night really were dramatic as TV crews were invited to film an Israeli military simulation exercize of an attack on a Syrian village close to the border, all conducted in the presence of the Israeli Defense Minister and IDF Chief of Staff. 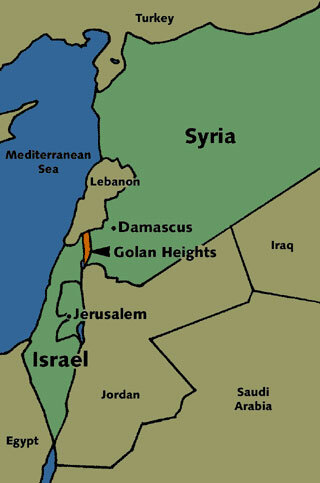 At the same time there has been a rash of reports regarding advanced Russian weaponry making its way to Syria via Iran, and of a possible Syria plan to grab back a small area of the Golan as a potential bargaining chip. The preparations for war are designed to pressure Israel into opening a dialogue. There is nothing new here: the Syrians have said as much – repeatedly and publicly. Senior IDF officers, who spoke to me about this issue over the last week, said that they failed to understand why the government was finding it so hard to give Damascus a positive answer. (1) In the past it was often said that Syria wanted a peace process, but not a peace deal. True or not, that same distinction might apply today to the calculations of Israel's Prime Minister. Olmert's preoccupation right now has to be his own political survival. He needs to create an agenda and a reason for Labor to stay in the government after they elect a new leader. A sense of progress on the Syrian track might achieve both, however, actually moving towards closure could threaten his coalition from the right and his parliamentary majority. The first consideration, then, were a diplomatic initiative to be launched, is: does Olmert want to deal or lots of background noise? (2) The same question can also be asked of Syrian President Assad. He would clearly favor a return of the Golan and a roadmap out of his diplomatic isolation and threats to his regime. But the price for Assad would entail more than making peace with Israel, and it is the additional menu items that present a dilemma for the Syrian President -- and may well be very difficult for him to deliver on. It is assumed that these would include a reorientation of Syrian alliances away from Iran and the assertion of pressure on Hizbollah regarding its armed militia. Absent a broader regional makeover, Syria would have a tough time delivering on these fronts, and may not even see this as being in its interests. (3) The American role here will be crucial. The US has thus far discouraged a positive Israeli response to the Syrian overtures. According to Israeli press reports, President Bush has now given Olmert the green light for exploratory talks with Syria and this will undoubtedly be discussed when Olmert visits the US this month. But absent direct US engagement on the Israeli-Syrian track, any initiative is highly unlikely to succeed, if for no other reason than that a key Syrian ask will be US guarantees. Syria will not move away from its strategic relationship with Iran in exchange for a frosty standoff with the US. (4) And this brings us to Lebanon. US policy on the Israeli-Syrian track is apparently being determined as a byproduct to its Lebanon policy. There are no signs that the US is working towards an accommodation in Lebanon; in fact, signs point in the opposite direction. Given the state of play, it is unclear whether a Lebanese restabilization package is even doable right now. The nature of a deal on the Hariri tribunal, even if it were deemed desirable, has become difficult to envisage. So, in a reverse of the old equation, Lebanon may now hold the key to Israeli-Syrian peace. (5) Still, a serious effort on the Israeli-Syrian track would be the right thing to do. To his credit, Olmert has apparently expressed his recognition of the territorial price for a deal with Syria. I would argue that, today, success on an Israeli-Syrian bilateral track would be very difficult without a recalibration of the entire regional approach. That means serious engagement with the Palestinians, as well as a diplomatic initiative for Lebanon, and at least diplomatically challenging Iran. The US would have to be an active, if not lead partner in all of this, but there are few signs of such a diplomatic surge. Next Tuesday Ami Ayalon and Ehud Barak will face off for the leadership of Israel's Labor Party. A second round of voting became necessary when no candidate received 40 perecent in the first ballot ten days ago. The Ayalon-Barak race is expected to go down to the wire. The latest polls give Ayalon a narrow lead. Obviously both have been focused on winning the endorsements of the defeated candidates and the backing of their supporters, although the election will be just as much decided by who delivers a more effective voter turnout of their respective base-camps. The most significant development has been the decision by the defeated outgoing leader and Defense Minister, Amir Peretz, to strongly back Ami Ayalon. The other two ousted candidates from the first round, Ophir Pines and Danny Yatom, have both sided with Ehud Barak. But the support of Peretz should be worth far more -- he notched up 22 percent in the first round, while the other two barely scraped together a combined 10 percent. Peretz has a loyal and disciplined supporter base, unlike Barak's new allies. A lot of the last minute deal-making focuses on the Arab sector of Labor Party membership. Arab citizens make up almost 15 percent of the Party's registered voters, even though, within the broader Arab public, support for the Labor Party has dropped precipitously (and understandably) in the last decade. Ayalon has managed to secure the support of Peretz confidant and Israel's first Arab Muslim minister, Raleb Majadele. Barak, despite being loathed and detested by the wider Israeli Arab public as a result of his own record in office, will still poll well among Arab party members due to the efforts of vote contractor, and representative of all things neanderthal in the Labor Party -- Minister Fuad Ben-Eliezer. Israel's Channel 10 News' political commentator, Raviv Druker, revealed last night that Fuad, from his perch as Infrastructure Minister, has just ordered the head of the Israeli electric company to hook the families of supportive Labor Party Arab members up to the grid. Akiva Eldar has this nice story on the competition between Majadele and Fuad. Ehud Barak's reliance on Fuad Ben-Eliezer is indicative of him being associated with the most unsavory elements in the Labor Party. It is very hard to find a progressive, dynamic new face, or a force for change amongst the political hacks who make up the Barak camp. Admittedly, this contest between Barak and Ayalon is not being fought on deep ideological terms; however, there are significant and discernible ideological differences. It would be fair, especially if one speaks of the newly formed Ayalon-Peretz camp, to define them as the more dovish, peace/negotiation-oriented, and socio-economically progressive camp in the Israeli Labor Party. The leading politicians who are now aligned with this camp bear out this description, they include Avishai Braverman, Education Minister Yuli Tamir, Shelly Yacimovich, and others. The Barak camp has a discernibly more hawkish and (socio-economically) centrist feel to it. The Haaretz magazine ran a decidedly unflattering piece last week on Barak's business activities since he left the Prime Minister's office. There has been a lot of criticism of the Ayalon alliance with Amir Peretz, and some Ayalon supporters are likely desert his camp and vote Barak or stay at home in protest at this new partnership. Part of that anger is against allying with Peretz, the failed politician. But at least in part, it derives from a legacy of prejudice against the Sephardim within the Labor Party. (The Sephardim, are the Oriental or Middle Eastern Jews of which Peretz, born in Morocco, is one.) In fact, the push back against the Ayalon Peretz partnership could conceivably hand victory to Ehud Barak. If that does not happen, and the Ayalon-Peretz partnership holds beyond the election, then it might just be the hope for rebuilding an influential, progressive, and politically competitive Labor Party in Israel. The flipside of this, of course, is that the Party could, and is even likely, to remain divided, which will undermine efforts to rebuild. On his excellent blog, Matthew Yglesias observed that ProspectsforPeace.com "includes much more coverage of the Israeli Labour Party leadership race than any sane person would want to read." I hope this post lived up to Matt's expectations. We will continue to follow the developments and rumors coming out of the second round of the primary race. The Israeli and Palestinian Prime Minsters, Ehud Olmert and Ismail Haniyeh, have much more in common than either would feel comfortable contemplating. Olmert and Haniyeh had back-to-back opinion pieces in the Guardian on June 6th, and I doubt much would have been achieved had they met face-to-face instead. Not at first, at least. But reading their respective comments one could discern the outlines of a route to navigate, not so much a flowery path, as a thorny accomodation between the two. Neither Olmert nor Haniyeh win any prizes for national contrition or introspective self-criticism. Both indulged in a culture of wallowing in their respective national sufferings, and swelling with great pride at their nations' resolve. The inherent structural naysaying, of course, resided with the other, and the solutions were to be found in what the other had to do. This was all to be expected and even healthy up to a point. Olmert and Haniyeh are not from the moderate or pragmatic camps in Israeli and Palestinian politics, their narrow nationalism is instinctive. When berating the world for having abandoned their respective nations at critical moments, Olmert and Haniyeh actually sounded like a mirror image of one another. In reflecting back on 1967, the Israeli Prime Minster bemoaned, "we stood alone." In contemplating the settlement enterprise, the Palestinian Prime Minster accused "the world's most powerful states" of refusing "to ensure respect for international law." Yet there was just enough common ground for these back-to-back Guardian comments to actually offer a way forward. Call me an irrepressible optimist, but, when it came to addressing the substance of what has to happen next, Olmert and Haniyeh gave us something to work with. Of course, neither leader may be around within a very short period of time, given all the political uncertainties, but it doesn't really matter, because, whatever names replace these two, they will still face the same basic equation. Patching together a solution from Olmert and Haniyeh's slim offerings might look like this: Olmert claimed that one could resolve the conflict on the same basis that "we were able to conclude a peace treaty with Egypt, exchanging land for a peace that has endured," and he expressed a readiness "to discuss the Arab Peace Initiative in an open and sincere manner." Haniyeh stated that the unity government he heads "envisages the establishment of an independent state on all the Palestinian land occupied by Israel in 1967, the dismantling of all the settlements in the West Bank." This, by the way, is very similar to a comment made by exiled Hamas leader, Khaled Mashaal in an interview with Ian Black in the Guardian last week. The model of the Egyptian peace that Olmert mentions was an Israeli withdrawal precisely to the 1967 lines, and indeed the evacuation of all settlements in the Sinai. The Haniyeh reference to the 1967 lines is also significant, representing the apparent current state of "Hamas talk" for acceptance of a two-state solution. On land issues then, the gaps might seem to be quite small, and while I do not imagine that Olmert plans a full pullback and evacuation, the acceptable compromise position is rather obvious: a one-to-one land-swap regarding any settlement-induced modifications to the 1967 lines. On Jerusalem, the Israeli Prime Minister refered to "our eternal capital," implying little room for compromise. Likewise, on refugees, the Palestinian Prime Minister called for "the recognition of the right of all Palestinian refugees to return to their homes." Yet, in staking out these positions, the two leaders again hinted at the potential package deal arrangement - that the Israelis would have to recognize the reality of a divided Jerusalem while the Palestinians would have to recognize the impracticality of an actual refugee return. These final trade-offs, obvious on the ground yet very painful, would have to be made while still respecting each sides' dignity and historical narrative. Olmert and Haniyeh are not offering a recipe for festive peace-signings or gala ceremonies. This would be a bludgeoning and hard process towards accomodation, but it can be eked out. In their respective opinion pieces Olmert and Haniyeh were appealing to you -- the reader, the policy-maker, the world -- to judge who is the bad guy here (hint: the other guy). But you -- the reader, the international community, the policy-maker -- do not have to play the role assigned to you by the two Prime Ministers. Inadvertently, I believe, the international community is being invited to play a very different role -- that of the mediator. Relentless, hard-headed diplomacy, and a public push for it may sound less soul-nourishing than boycotts and pledges of solidarity. But it's what is needed to resolve this conflict 40 years too late. It's been a while since Ghaith and I have been out proselytizing for the Geneva Initiative but we had the opportunity earlier this week in Pittsburgh, and we will do so again, today at 6:30, on a live webchat. Ghaith Al-Omari and myself met at the Taba negotiations in January of 2001 when we were both officials representing our respective sides, the PLO and Israel. From 2001 to 2003 we led the drafting teams in the unofficial talks that produced the Geneva Initiative. Ghaith went on to become a senior policy adviser to President Abbas until a few months ago when we joined forces at the New America Foundation to spread the word on this side of the pond. I always feel honored and lucky to work with Ghaith -- anyone who has come across him will understand why. Today, from 6:30-7:30 pm, Ghaith and I will be speaking on a live webchat sponsored by the Arab American Institute. Join us if you can. Earlier in the week we were guests of the Middle East Peace Forum in Pittsburgh speaking at the Carnegie Mellon University, debating on this local talk show hosted by Lynn Cullen - who was great fun. I am unapologetically biased on this one, but, rereading the Geneva Initiative this weekend, I was struck that one really does not need to reinvent the wheel on this one. It is doable, and it really is a question of political will and courage. If you have not done so yet and have a moment, here are the Initiative maps and text. 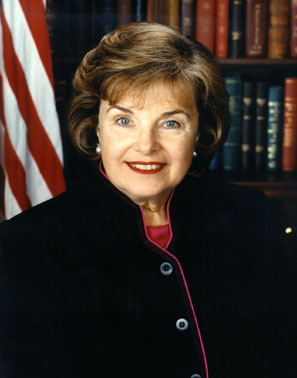 Senator Dianne Feinstein has demonstrated leadership in promoting a praiseworthy new sense of the Senate Resolution regarding the Israeli-Palestinian peace process. The Resolution has not yet been introduced, but you can see an advance copy of the text here, and Senators Dodd, Hagel, and Lugar are all on board already. Other Senators should be encouraged to sign on to the Resolution while Senator Feinstein should be praised, and here's why. A non-binding Senate Resolution is not going to dramatically effect the situation in the Middle East but it could demonstrate that senior US politicians are capable of advancing meaningful and constructive positions on the Israeli-Palestinian conflict, something that has been in desperately short supply. The text of the Resolution occupies a territory (so to speak) that is unequivocal in its commitment to Israel and Israeli security while at the same time guided (as it should be) by US interests, and mindful of Palestinian needs. Understandably, if regretfully, it dodges the need to deal with the Hamas-Fatah PA Government (Tom Friedman gives the Dr. Seuss guide to talking with Hamas in his New York Times op-ed today), but there is plenty of useful stuff. The Resolution describes ending the Israeli-Palestinian violence as a "vital interest of the US," notes that the conflict "strengthens extremists" and that "peace could have significant positive impacts on security and stability in the region." The robust diplomatic effort Feinstein and friends call for, prioritizing the attainment of a two-state solution, and appointing a Special Envoy if necessary, represent precisely the direction US policy should be guided towards - and a key missing link in re-stabilizing the region and creating more propitious conditions for a troop draw-down in Iraq. This is how the 40th Anniversary of the Six-Day War should be marked, by, in the words of the draft Resolution, using "the occasion of this anniversary to redouble their efforts to achieve peace." Now let's see whether the other Presidential candidates sign up (Dodd has, so far, apparently). Oh, and another thing - this could not stand in more stark contrast to the silliness displayed by the House last week in adopting HCR 152. That Resolution praises Israeli "unification of Jerusalem," calls again for moving the US Embassy to Jerusalem and commends Israel for its administration of the city. OK, so maybe its just meaningless grandstanding, and even the House version calls for a two-state solution - but to achieve that you must re-divide Jerusalem... and with everyhing going in the Middle East right now you really think this is the time to relocate the Embassy?!? As John McEnroe was prone to scream, "You cannot be serious!" Barak Obama has a big-picture foreign policy piece in this month's Foreign Affairs, building on his Chicago Council on Global Affairs speech of April 23. When it comes to the Middle East Obama has an encouraging message, especially for those of us who dwell on the region. It is still short on detail, but he is thoughtfully staking out a position that is beginning to build a sound intellectual edifice that confronts the Neocons. And he is overcoming some of the timidity that has characterized Democrat Middle East musings since 9/11. The thrust of the Obama Weltenschaung is a healthy internationalism that not only rejects the temptation to go isolationist after the Iraq debacle, but also seeks to seize anew a foundation for American leadership that is diplomatic and moral rather than exclusively military. On Iraq, in addition to the mandatory call for troop withdrawal, candidate Obama speaks the language of the Iraq Study Group report in endorsing a diplomatic surge. We must launch a comprehensive regional and international diplomatic initiative to help broker an end to the civil war in Iraq, prevent its spread, and limit the suffering of the Iraqi people. ... to focus our attention and influence on resolving the festering conflict between the Israelis and the Palestinians -- a task that the Bush administration neglected for years. For more than three decades, Israelis, Palestinians, Arab leaders, and the rest of the world have looked to America to lead the effort to build the road to a lasting peace. In recent years, they have all too often looked in vain. Again, Obama is long on commitment while short on specifics. However, in articulating such a position, he may be stating the obvious when it comes to the real world, but he is doing something that is considered rather counter-intuitive in the world of US presidential election campaigns. 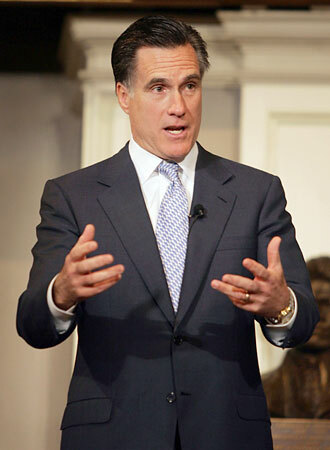 In yesterday's Washington Post, Fred Hiatt suggested that the foreign policy outlooks of Obama and Mitt Romney (who has his own manifesto in the same magazine) were strikingly similar to each other, and to that of the Bush Administration. Well I didn't see no Romney call for American leadership in ending the Israeli-Palestinian conflict, Mr. Hiatt, and I sure ain't seen no such thing from the Bushies. 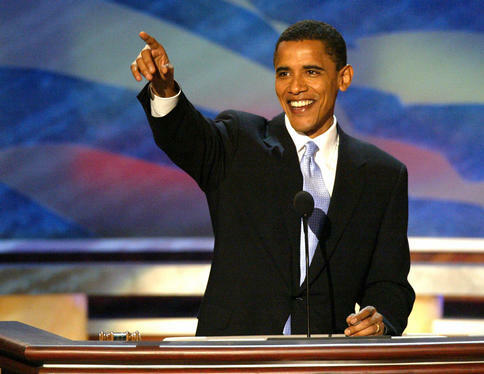 It is not yet time to be dusting off medals of courage and bravery for candidate Obama, but his call on the Israeli-Palestinian issue for "sustained American leadership for peace and security," and him making this a "personal commitment for the President of the United States" should be music to the ears, not just of sensible folk in the region, but also of Americans who understand the way the region fits together, and who should be sick and tired of being told that there ain't much American diplomacy can do to fix the situation. Obama goes on to call for "tough-minded diplomacy" with Iran and Syria, and a counterterrorism that "draws on the full range of American power, not just our military might." In the Islamic world and beyond, combating the terrorists' prophets of fear will require more than lectures on democracy. We need to deepen our knowledge of the circumstances and beliefs that underpin extremism. A stable two-state solution is right for Israel, right for the Palestinians, and right for America, because the suffering of the Palestinians is the most useful propaganda weapon the Jihadists have. You can't beat the Neocons without reframing the war on terror. And you can't reframe the war on terror without addressing the Israeli-Palestinian conflict. Are the Dems belatedly waking up to this, and speaking out? I have tried to stay away from the endless events and articles commemorating the fortieth anniversary of the 1967 Six-Day War and the resulting occupation - to be frank, I find it all too depressing. But today is the day, and, in deference to all that has been written and said, I wanted to share with you the one article that I most identified with. Maybe it's because the author, Jonathan Freedland is a fellow British Jew. He also grew up in a progressive Zionist youth movement, and seems to find himself just as challenged, conflicted, and frustrated as I do, moving between establishment Jewish circles and progressive political ones. I think Israel is a central magnet of identity in both our lives, irrespective of the fact that I went to live there and Freedland did not, and I think we are both often shocked at how far and often Israel has strayed from the value system that we associate with our Jewishness. Jonathan Freedland is a friend and he writes for the Guardian. Also, according to his article, he was born a year before me, in 1967. Freedland wrote this piece a few days ago, and he begins by noting that the war did not really last six days as it is still going on today. He describes the outcome of the Six-Day War as a mortal, political, and moral disaster for the state of Israel. The mortal threat is clear to this very day. The victory of 1967 turned Israel into a military occupier, and occupied people will always fight back eventually, as the Palestinians did in earnest with the first intifada that erupted in 1987, through the suicide bombings of the 1990s and the second intifada that began in 2000. Of course, the 40 years since 1967 have been most painful for those who have lived under occupation, the Palestinians of the West Bank and Gaza. But the inevitable consequence of that pain has been danger and perpetual conflict for the people of Israel. The political threat is less visible... If Israel is truly democratic, and grants all those people the vote, it will no longer have a Jewish majority. If it remains Jewish, by excluding those people, then it is no longer democratic. This is the so-called demographic argument, the unavoidable choice for Israelis left by 1967: either you hold on to the West Bank and Gaza or you remain a democratic state with a Jewish majority: you can't do both. The moral threat was doubtless furthest from the minds of those celebrating... 40 years ago... Every time an 18-year-old Israeli conscript stops a man or woman at a checkpoint or presses the button for a "targeted assassination", the moral core of a country becomes a little bit smaller. Hard to believe that when Israel went to war in 1967, it enjoyed the sympathy of world opinion, who saw it as the plucky David against the Arab Goliath. In the 40 years that have passed, Israel's standing has plunged and the admiration of those days has turned into suspicion and worse. This is a lesson Israel has failed to learn these last 40 years. If you refuse to deal with a group because it's too extreme, you don't get to deal with a more pliant, moderate alternative. On the contrary, you eventually confront a force that is even more extreme. It happened when Fatah was eclipsed by Hamas - and it could happen again. Surely Israel's friends can begin to point in another direction: to seize on the hints from Hamas of possible compromise, to capitalise on the fact that Hamas too has an interest in defeating al-Qaida - and to begin a dialogue with the enemy. The aim would be to end the war that never ended - because the alternative is always so much worse. Americans for Peace Now and the Arab American Institute have just released the findings of the first parallel survey of Arab American and Jewish American opinion regarding the Middle East, Israel-Palestine, and US policy. The first thing to grab the reader's attention is how remarkably similar and sensible are the positions of the vast majority in both communities. In fact, in the first question asked "How closely would you say you follow the situation in the Middle East" the exact same number of Jewish Americans and Arab Americans (55 percent) answered "very closely" (with 37 and 38 percent, respectively, saying "somewhat closely"). The poll is yet another, and this time quite stunning confirmation that both groups want an American administration that is actively engaged in Middle East peacemaking, support a two-state solution, an end to occupation and freeze on settlements, and see a peace agreement as a US strategic interest. A thumping 68 percent of Jewish Americans, and 64 percent of Arab Americans, say they would be more likely to vote for a presidential candidate who promised to take an active role in the peace process between the Israelis and Palestinians. While fully 80 percent and 77 percent respectively rate President Bush's handling of the conflict as not effective. And here is another headline: 73 percent of American Jews, according to this poll, agreed with the statement that "it is vital that the US engage in serious diplomacy with Iran and the international community which could prevent another war." While only 21 percent felt that the statement "diplomacy with Iran is a waste of time, and the US needs to prepare now for military action" best reflected their view. You can read the poll here, and below I have posted a few more of the important findings. [The Iraq Study Group] suggested, “The United States will not be able to achieve goals in the Middle East unless the United States deals directly with the Arab-Israeli conflict.” Do you... agree... [or] disagree that a serious US effort regarding the Israeli-Palestinian conflict will help America achieve broader goals in the Middle East? Should the United States... support [or] oppose negotiations between Israel and Syria? Do you... agree... [or] disagree that Israelis have a right to live in a secure and independent state of their own? Do you... agree... [or] disagree that Palestinians have a right to live in a secure and independent state of their own? Do you... agree... [or] disagree that trying to achieve peace, security, and dignity for Israelis and Palestinians is important to U.S. strategic interests? Would you... support... [or] oppose a negotiated peace agreement between Israelis and Palestinians that included the establishment of an independent, secure Palestinian state alongside an independent, secure Israeli state, and resolved final status issues of Jerusalem, refugees, and borders? Next month will mark the 40th anniversary of the 1967 War, when Israel occupied the West Bank and Gaza Strip. How important do you believe it is to the interests of both Israelis and Palestinians to end the occupation? I have a lot of respect for Dennis Ross, and for his decade-plus of efforts with the peace process as an official. He is thoughtful and sincere, but his op-ed in today's Washington Post, "The Specter of Hamastan," has some serious flaws that should not go unchallenged. The bottom line of Ross's argument is to work with Fatah in order to defeat Hamas, specifically that a coalition of donors, American and Arab, help "remake Fatah" so that they can "compete socially, economically, and politically." While he might be right that more should be done to counter the Islamists, he is several years too late in reaching this conclusion, and, remarkably, he downplays the impact of the ongoing conflict with Israel. Ross is wise to explain that any military bolstering of Fatah in Gaza should not be a prelude to a bloodbath against Hamas, and he cautions against Israel reoccupying the Gaza Strip. His suggestion that Egypt do more to prevent arms smuggling into Gaza is a sensible one. But there are real cracks in Ross's argument. First, it is extremely problematic that Ross is only speaking to Fatah, and elements within Fatah at that. It is very understandable, but also very damaging to good analysis when serious policy thinkers like Ross continue to see Hamas almost exclusively through the eyes of Israelis and members of Fatah, whose job it is to try to reverse the results of the Jan. '06 Palestinian parliamentary elections. Hamas is clearly a problem, but it is also not some militant jihadist cell hiding out in the caves of Palestine. Hamas took a political decision to join the democratic process, and then won a democratic election. Ross makes the common reductionist error of lumping all the Islamists together when he suggests that his "Hamastan" would provide "a new haven for Islamists of all stripes." Don't get me wrong. I would also prefer my secular nationalist Fatah friends to return to power, but remember, trying to pick winners in the Arab world, in the way that Ross seems to be proposing, is part of the wrongheaded policy that led us to this mess in the first place. One of the Hamas campaign slogans in the last elections was "Israel and America want you to vote Fatah. What do you want?" The key point is this, and it surprises me: in the world of Dennis Ross's op-ed, the occupation in the West Bank has apparently ceased to exist. In suggesting how Fatah could be strengthened at the expense of Hamas he makes no mention of the impact of settlements, the construction of the separation barrier, the checkpoints and closures (see the latest World Bank report here), and the lack of a political horizon of hope for ending the occupation . And that is a fatal flaw in his argument. Since the Oslo process began, Fatah's claim to leading the Palestinian movement was that their negotiated approach, and not armed resistance, could deliver an end to occupation and real Palestinian statehood by building an alliance with the West - especially the US - and by engaging with Israel. The credibility of that claim collapsed when the peace process was put in the deep freeze (or formaldehyde), when Israel embraced unilateralism, and when the US disengaged. It is unlikely that Ross doesn't recognize this part of the story, and it is perplexing that he omits to mention it. Failure to address these political questions means we have learned precious little, and we are unlikely to either improve Fatah's prospects or really test the Hamas capacity for flexibility. The Lebanese Armed Forces (LAF) have now entered the Nahr Al-Bared Palestinian refugee camp in Tripoli in what may be a final push to route the Fatah Al-Islam jihadist group. This move, although not directly related, comes fast on the heals of the UN Security Council passing Resolution 1757 to establish an international tribunal into the killings of former Lebanese PM Rafiq Hariri and others. I'm hoping in the next couple of days to post an extensive piece looking at what's behind the latest escalation in Lebanon and where it might lead, and believe me, the conspiracy theories on this one make Israel-Palestine look like a picnic in comparison. Rafiq Hariri himself was known to have said, "In Lebanon, believe nothing of what you are told, and only half of what you see." With so many cooks involved -- Americans, Iranians, Syrians, French, Saudis --, it is hardly surprising that the dish being served up in Lebanon right now, is not to anybody's liking. There is a real threat of a spillover with a lot of attention being focused on the Ain al Hilwe camp in Sidon where additional Al-Qaeda inspired groups have a foothold. There are strong suggestions of an element of blowback in the latest developments, following US and Saudi support for Sunni groups intended to counter Hezbollah. I have reports, still to be confirmed, that the commander of the LAF was in Washington urging accelerated military assistance in the days leading up to the clashes at Nahr Al-Bared. the pro-government camp... should launch [an] initiative that confirms... that the tribunal is not a victory for any one particular side. The main fear is that a certain overconfidence might take hold of some in the [anti-Syrian and pro-government] March 14th camp or of some of their advisors, after the ‘victory’ achieved with the tribunal’s ratification. The pro-government camp holds the card of administering the government through a parliamentary majority that is reinforced by a high level of international backing. On the other hand, the opposition holds the card of being able to foil the normal administration of any government. Former US president Bill Clinton may be the only man in the world able to bring the parties to the negotiating table. He is acceptable to both sides, and has enough personal authority, expert knowledge and persuasive charm to stand a reasonable chance of success. As president of the US, Clinton came close in 2000 to forging peace agreements between Israel and the Palestinians and Syrians. He should now be given a second chance. Seale points out that "almost everyone is agreed that the unresolved Arab-Israeli conflict has developed into a major threat to international peace and security... the conflict has brutalized Israel... Palestinian and Lebanese societies have been shattered... the U.S. has been stripped of moral authority... there is no more urgent problem on the international agenda. Seale suggests that Bill Clinton be assisted in this task by former World Bank president James Wolfensohn. OK, so this is hardly the first time that former President Clinton has been touted for such a position, and, yes, I know that it is politically inconceivable as long as his wife is a presidential candidate. But two points worth echoing are being made here: First is how little political-diplomatic effort is invested in a conflict that, while claiming comparatively few casualties, actually has such a dramatic impact in the regional and even global setting. There has almost been an inverse relationship in the last years between the anti-US radicalism fueled and exploited by this conflict, on the one hand, and the political capital devoted to solving it, on the other. Of course it becomes all the more infuriating when one considers that the solutions are relatively known and even attainable. The second observation that the fantastical Bill Clinton nomination gives rise to is this: what happened to the idea of deploying heavyweight diplomatic fixers? (Heavyweight, that is, in terms of authority and substance, not necessarily physique.) The US has had no Mideast envoy since the Bush Administration came into office. Now I don't see having an envoy as being an end in itself. But have there not been moments when a focused and experienced diplomatic presence could have helped push regional developments in a more helpful direction? I know, I know. If one is averse to diplomacy, it doesn't leave much room for dynamic diplomats. And here is an afterthought... There are parameters for Israeli-Palestinian peace known as the Clinton Plan. Is it supported by the presidential candidates for '08, including the one whose name already adorns the plan? This page contains all entries posted to Prospects for Peace in June 2007. They are listed from oldest to newest.